After using PNM Engineering on quite a few occasions, including my first stint as an Esprit owners and considering they sponsored the calendar for 2004. I though it was time to visit them and see for myself what they're all about. I did have a motive for making the trip. 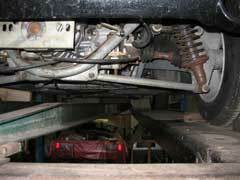 A new clutch and suspension needed fitting to my Esprit. So I gave PNM the task of fitting them while I got to check them out. PNM are based in Wallasey, Liverpool, which was a 3 hour drive for me. But I am happy to take my Esprit to the right people. The only problem finding them from their instructions on their website was they'd missed out a roundabout. Going straight over it didn't have the wrong effect and I soon found myself in the trading Estate. As you can see from the Lotus Shells, you know your in the right place. 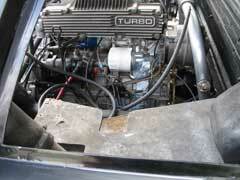 Pete, who runs PNM was working on a Giugiaro Turbo when we turned up. 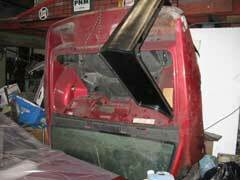 An engine fire had gutted the engine bay and Pete was rebuilding it. He was doing the last few bit, with a lot of trim in the engine bay missing, which gave me a better look at the turbo lump. You can see from the picture in the middle, this is the foam that water drips on if/when the quarter glass leaks. Once this gets wet it start to eat into the tanks. 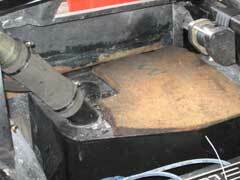 Pete told me you can easily remove the trim and check yours. 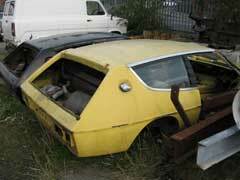 You can then treat and paint the top to protect it from future rust. This is something I'll be adding to my long list of stuff to do. 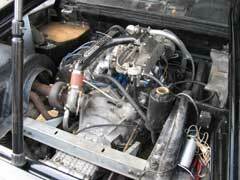 Pete also had another Black Turbo. 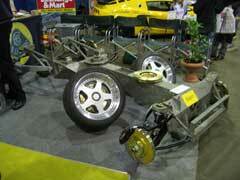 This is one he is building from scratch, using a rolling chassis that he used to take to shows. This is one of Pete's project he works on when he gets some time. He told me he'd be working on it for over 10 years. It will be finished soon and available for sale. 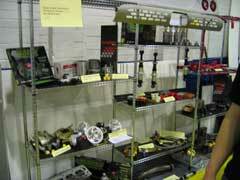 PNM have a large selection of Esprit Parts on site and also a full list of over 70,000 parts available. So if you need anything for your Esprit PNM can supply it. 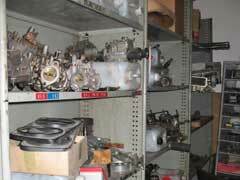 They also ship worldwide, which was useful when an Australian LEW users contact me about a Vacuum pump for his S4. He was told they were obsolete, which they are and didn't know how to get hold of one. I called PNM who do an exchange for a recondition one. 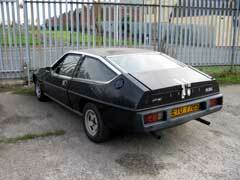 So one part winging its way to Australia and helping to keep another Esprit on the road. 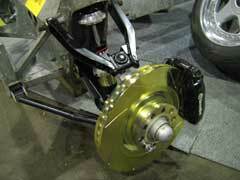 PNM also recondition other parts for the Esprit, including brake caliper, which can and do seize. I will be fitting and testing PNM's brake upgrade over the next few weeks. Pete showed me a set fitted to the Turbo that he was rebuilding and they look like they'll stop a truck! 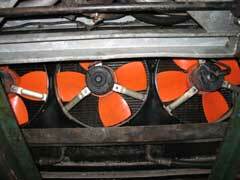 As you can see from above, the turbo's fitted with the plain discs. The next pic (middle) shows the size difference between the standard disc and the new upgraded one. I have high hopes for this kit. 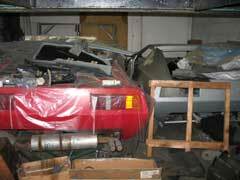 As you can see from the last picture, this is my kit waiting to go on my Esprit once it's back from PNM. 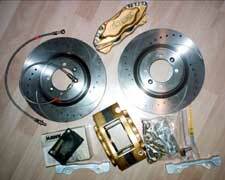 Brake Kits will be available for every model of Esprit upto the late 1994 Brembo equipped S4. All information will be available on the site once my kits been tested. Prices range from £400-700. 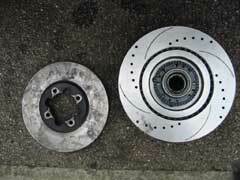 Decent brakes is what the Esprit's been crying out for for years. Let's hope PNM have come up with the answer. PNM also have some body shells, which can be grafted onto damaged Esprits. I was told how this is done and that Lotus actually sell these parts. You can buy a front quarter, front end, roof section and so on. They are then grafted on, finished and sprayed. 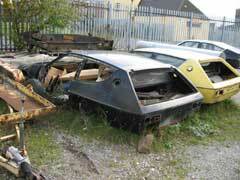 These section are expensive from the factory with a complete body shell costing around £6,000. 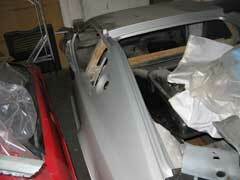 PNM have section for S2, S3, Turbo and Stevens (front section above right) ready to get another Esprit back on the road. All in all I was very impressed with what PNM are doing. The whole business is about keeping Esprits running. 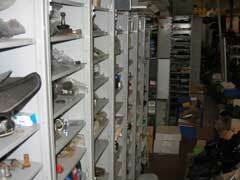 Fixing those not working, supplying parts and coming up with new products to replace those now not available. 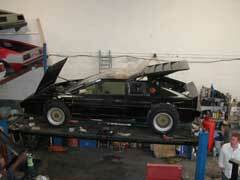 Not to mention work on improving the Esprit. They sourced the Green Cotton Filters after the K&N ones became unavailable, the above mention brake kits and other projects are in the pipeline to mention but a few. 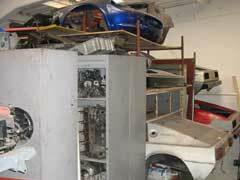 Esprit owners are luck to have businesses like PNM to help them. 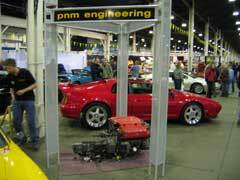 LEW's Stand of the Show went to PNM Engineering. 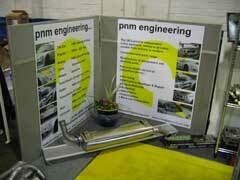 PNM don't normally have a stand at Donington, but you wouldn't have guessed from the display they put on. 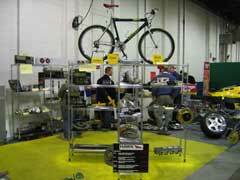 Their stand was 95% dedicated to the Esprit, which was more than any of the others put together. 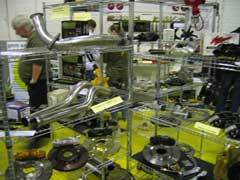 Plenty of parts available and on show, including dump-valves, cat by-pass pipes, suspension, exhausts, 2002 rear lights & panel, US style exhaust grill, air filters, clutch cylinders & pipes and much more. 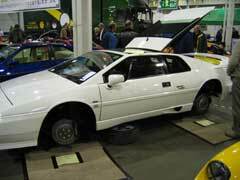 The real winner was the Esprit chassis with suspension and PNM's new brake upgrades. A real show stopper. The new top of the line brake kits includes new larger discs with 6-pot calipers up front and large vented discs with V8 brembo calipers at the rear. Discs and calipers are available in different colours and disc are available plain/slotted or drill and slotted. 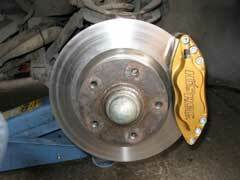 They also have 4-pot calipers available, which are the same as LEW currently runs in it's SE. 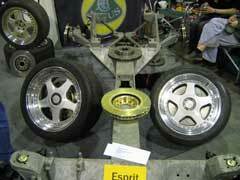 Alan Croft's Turbo was on the stand showing off the first 'Big Brake Kit'. Dave Walters S4s was also on the PNM stand showing off his newly refurb'd Split Rim's and the 'PNM Big Brake Kit' for Esprits with the Brembo set up. 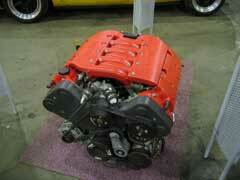 They also had a V8 engine on display which will eventually be in the PNM Racing Esprit that is being planned.